flekka challenge: week 0:: takeoff!!! Have you ever seen a piece of clothing that is... just perfect? Well, almost, because, it is also either out of your budget, sold out in your size, or that animal print is just not you. This happened to me too many times. Easy, you might think. Just make it yourself! And that's how I thought too. I have a sewing machine. I have been sewing for many years now. I can do it. But I don;t know how to draft patters. So, then I would spend too much time looking for a pattern that is the same as that perfect top I mentioned above. But I could not find one. Maybe I could find something close. Then I would have to figure out the size (because you know that as many pattern publishers are out there, there are as many different sizes), then trace the pattern (I always do that, even if not necessary, because what if I picked a wrong size), then modify the pattern to fit that perfect top, then cut the fabric... You get the picture. And then in the end you find out that the pattern does not fit. Yes, I was too lazy to do muslin fitting. Sounds familiar? OK, sometimes the finished piece would fit, but most of the times, it wasn't right. I got so frustrated by the process that I stopped sewing clothes for a long time. Then, a few months ago, I stumbled upon Bunka Fashion Series books and a whole new world opened for me (ok, bit dramatic, but bear with me, please). What an idea! You start with a basic pattern - a sloper - that fits you perfectly and then modify it to make basically any design you can think of. I realize that this may be old news for a lot of you out there, more experienced seamstresses, but to me it was very new. However, it was exactly what I needed! I was so excited, I had to create my own sloper right away. 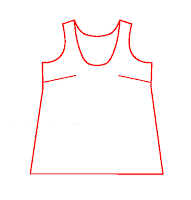 Then, I tried a few designs, simple sleeveless tops, and I really liked the process. So, just before we took off for the Summer, I decided I would start this project and share the process with you all here on this blog. So, what is this project? I will (I already did that part) create a basic sloper (or bodice) and then try to modify it to create patterns for designs I like. I am aiming for about 3 designs a month (I do have to set aside some time for other sewing too). I will start with tops, maybe give a dress or two a try (I am not really a dress person, but who knows, if I can make one that actually fits...). I don't want to make a strict schedule, I would like to keep this flexible and see where it takes me. I will share all the steps with you. This is going to be about drafting patterns, not about sewing. There is just not enough time for all of that! And there are other excellent blogs out there that cover that topic extensively. Hopefully some of you join me in this little adventure - I would like to see if this process works for other sewers... I will also share some of the patterns with you - for free. OK, that said... 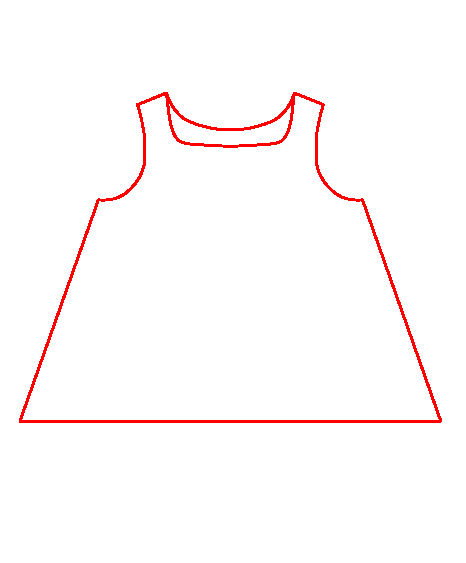 The starting point for this project is the basic sloper. I will be using the one developed by the Bunka Fashion College. Unfortunately, this is not mine to share, so I cannot post directions on how to make a sloper here on this blog. However, if you can find the Bunka Fashion Series Textbook 1 or if you can get your hands on Mrs Style Book or Lady Boutique magazines, you can find directions there. The Textbook has been translated in English and you can find it in some Kinokuniya bookstores (or order online). Magazines are in Japanese, and there are some sites out there that will help you with translations. If there is enough interest, I will look into how I can help you all. You could also use another sloper too - maybe you already have one? 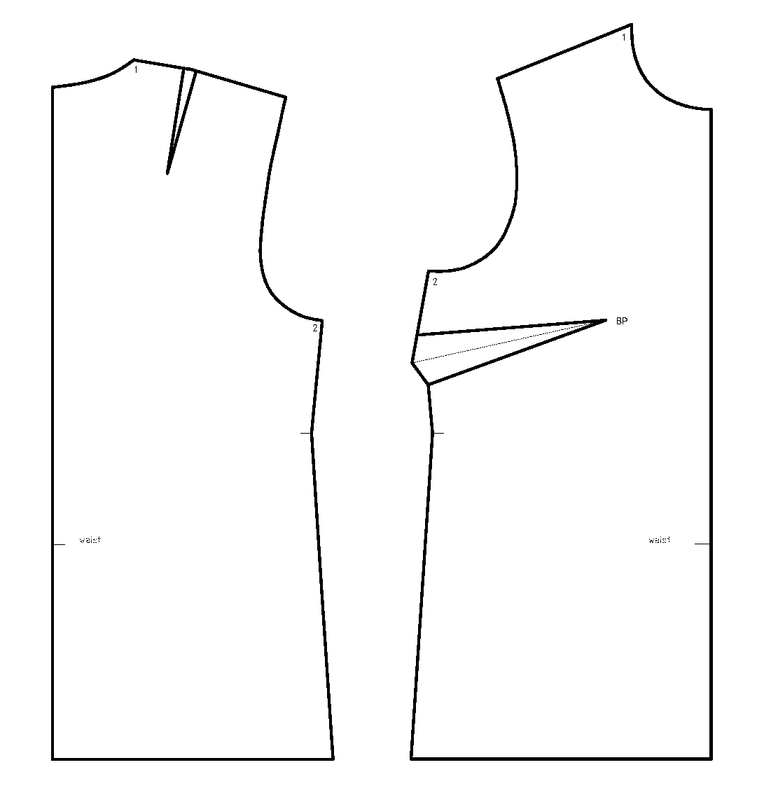 You can also use a sloper by Aldrich - described in Metric Pattern Cutting. There is also a free one on the Burdastyle website. These will be a little different - mostly different placement and number of darts, but you could still use the steps I describe as a guideline for modifying your own sloper. That's it for now. I hope I covered all the bases - but please, if you have any questions or comments, bring them on! I just found your blog--what a cool idea! I'll work on my basic sloper so that I can follow along!